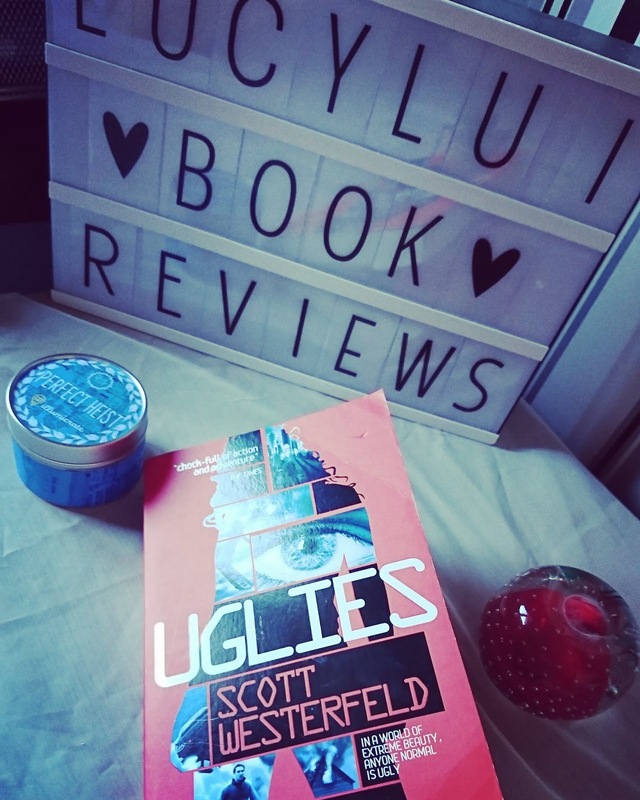 Uglies is the first book in the Uglies series by Scott Westerfeld. Uglies is set in a world where ugly and pretty people are separated. Everyone is born an ugly and on their sixteenth birthday, they leave ugly town and head on over to pretty town to have an operation to become a pretty. Tally is days away from her sixteenth birthday and therefore days away from becoming pretty. Once she has the operation she will move into the high-tech paradise that is pretty town and all she will have to do once she is there is party and have the time of her life. All her friends are already over there having already turned sixteen. But with just days to go, Tally makes a new friend in ugly town names Shay and she has different ideas about becoming pretty. When Shay runs away before turning pretty, Tally learns the ugly truth about becoming pretty and the real price of beauty. I first read this series when I was a teenager and I loved them so I was interested to see what I thought of them now I'm an adult (Gulp) I actually still really enjoyed the book. Westerfeld has a really different perspective on beauty and it's nice to read a young adult book that's not the usual. Tally is a likeable and realistic protagonist. You find yourself rooting for her to stay ugly and to beat the system as it were. To rebel and escape. The plot was really interesting, decently paced and the book was very well written and an easy and enjoyable read. It was also captivating throughout and kept you wanting to turn the page and read more. I am looking forward to reading the rest of the series. There are some really important messages portrayed within this book about beauty being more than what is on the outside, more than what the eyes can see. It also shows us the importance of friendship and identity and independence. A really good young adult book but also really good for any ages.